Tem, or Temmoku, the studio dog, lets us know when 2:30 rolls around each afternoon. His belly knows it’s lunchtime for dogs, which happens to coincide with teatime for humans at Tye River Pottery. Over afternoon tea, Kevin and the apprentices discuss the forms we’re working on, the upcoming firing, and the ideas we’ve been simmering. Sometimes, someone brings a poem to share. Often there are muffins involved. Regardless of the conversation or the snacks, we always drink out of tea bowls. It’s a difficult thing to admit to, but I was raised in a mug household. (Whew, it feels good to have gotten that out in the open.) This whole handle-less tea consumption thing was a bit strange and uneasy for me at first. I like throwing tea bowls; they are a fast form to make and trim, they have a broad range of acceptable sizes and proportions, and they are a form that can be as funky and distorted as the potter’s whims may lead her. For me, daily use of tea bowls is something fairly novel. Tye River’s daily tea-ceremony-of-sorts has been quite the education. What makes a good tea bowl? My answer to that question these days is very different than it was few months ago. I enjoy drinking out of small bowls, so the tea isn’t cold by the time I get to the bottom. However, I like bowls which are broad and open at the lip to allow the tea to cool enough to drink on hot Virginia afternoons. I desire a substantial foot in order to lift the bowl off the table top, but not so high as to threaten the bowl’s stability. Prodding other tea-drinkers about their own tea bowls preferences is one of my favorite tea-time practices. In truth, I could discuss the architecture of the ideal tea bowl for quite a while. I’ve read Sue Bender’s Everyday Sacred more times than I can count. It is an extremely satisfying little book of meditations and musings on bowls of all kinds. 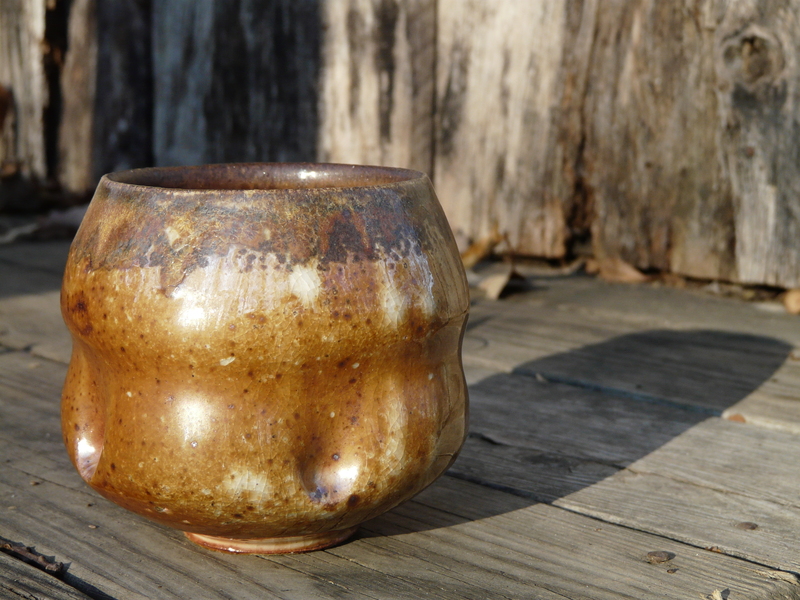 Bender highlights many of the rich and deeply varied traditions surrounding tea bowls around the world. In Korea, tea bowls are said to be seasoned by the tea; over time, the interior of the bowl takes on the color of tea itself. In Afghanistan, if a treasured bowl is broken, the pieces are patched together with veins of gold or other precious metals. In both of these cultures, the bowl becomes more valuable with time and use, and that intrigues and inspires me. The bowl’s lifetime and life cycle is respected and honored. In the tea bowls I’ve been throwing of late, I strive to capture the Japanese aesthetic quality of shibui, or quiet beauty. The words and works of Japanese-American potter Toshiko Takaezu introduced me to the concept. She finds shibui at the place where disciplined engagement and graceful spontaneity converge. If you couldn’t tell, I can get lost in the literature of aesthetics. As for my questions about tea bowls, I have found far too many answers and far too few conclusions. When that happens, when I find myself tangled in my left brain, I know it’s time to go back to the wheel and ask the clay for myself. 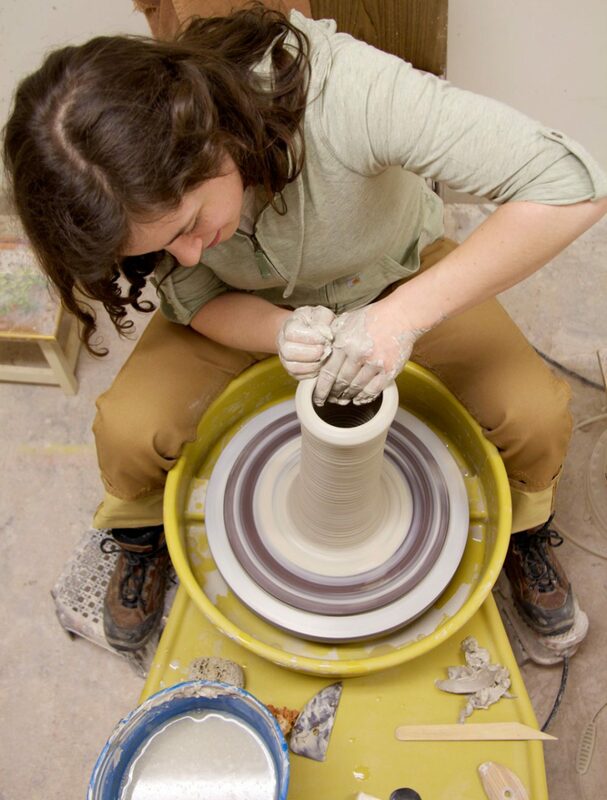 Susannah is an artist-potter and art educator who makes her home in Detroit, MI. She can be found teaching at Ladybug Studios and Pewabic Pottery, spends her mornings wrangling children at the Detroit Institute of Arts, and serves on the Michigan Council for Arts and Cultural Affairs. Oh yeah, and she makes things with her hands.